Ashe grew up at a time when people made their own entertainment. Sitting at the fireside the young could listen to Irish songs and poetry, Irish history and legend. At crossroads on Sunday evenings music and dance were commonplace. Thomas himself had a fine voice and also played the flute. 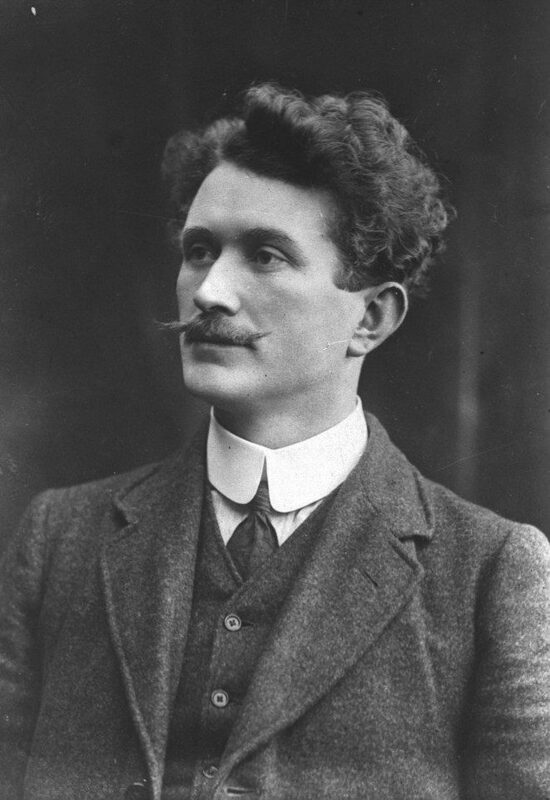 In 1904 he wrote a short play in Irish called “An Puncán”. It won first prize at Dingle feis and was performed in torchlight in Tralee. While in De La Salle College he was a regular performer at Saturday night concerts. His vast repertoire of Irish songs and excellent voice never failed to entertain. At the final examination in De La Salle, among other subjects he qualified in vocal music and chant. Some time after his appointment as principle of Corduff, Ashe obtained a set of bagpipes and began learning to play them receiving his first lessons from Patrick Archer, a poet of Fingal. In 1910 he founded the Black Raven Pipe Band, being a piper in the band himself. It was a measure of their talents that in 1913 after only three years in existence they won the championship of Ireland at the Oireachtas in Galway. As a singer he was always in demand for concerts and social gatherings. His Irish songs of strong nationalist flavour always raised the ardour of his listeners. Even when Ashe and his volunteers were in captivity in Richmond Barracks after the Easter Rising he sang his own composition “My Colleen by the Lee” for them to raise spirits. He first began composing rhymes while still in his teens. His first compositions in which he was helped by a Brosnan cousin of Foherough were “Skellig Lists”. Needless to say these lists weren’t too well received in certain quarters. His best known composition, which has been sung and recited in many parts of the world is “Let me carry your Cross for Ireland Lord” which he composed while imprisoned in Lewes Jail in England. Home on holidays in Kinard he always brought his pipes with him. A favourite spot of his was “Carraig an Mhionnáin” on the summit of Kinard Hill and on summer evenings he could be heard for miles around playing the pipes with the children of Kinard as his receptive audience. Ashe also had a keen interest in painting. He spent many hours sketching landscapes and seascapes around Lusk and during summer holidays in his native Kinard. Truly he was a man of multiple talents.